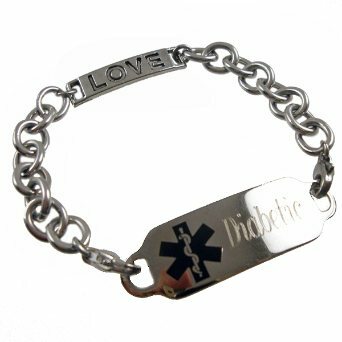 Price includes our Deluxe stainless steel medical ID tag with etched engraving, interchangeable stainless oval link chain, 1" x .25" LOVE connector link and two stainless steel lobster clasps. 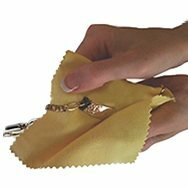 .Sizing for this style: Take a snug wrist measurement, (no wiggle room) and add 1 inch for the correct size in this larger chain style. Wrist Measurement + 1 inch = correct bracelet size.